Canadian soprano Teiya Kasahara has been praised as a “magnetic performer” singing with “a dynamic mix of sweetness undercut by strength” (Opera Canada). Her “impeccable” and “effortless” (reviewVancouver) signature role as the Queen of the Night has already hit Vancouver Opera, Highlands Opera Studio, Opera Kitchener, and next in Germany at the Aalto-Essen Theater, and later with Edmonton Opera. Teiya is a versatile artist in both the dramatic and lyric coloratura soprano repertoire with a soft spot for 20th/21st century music and theatre enjoying an ongoing collaboration with Tapestry Opera, where she portrayed the role of Hope in the Toronto premiere of Shelter (Palmer/ Salverson) receiving only glowing reviews. Her triumph as Solana in the world premiere of Canada’s first lesbian opera When the Sun Comes Out (Leslie Uyeda/Rachel Rose) at the Queer Arts Festival led to two sold-out concert performances at the World Pride Festival in Toronto this past summer. 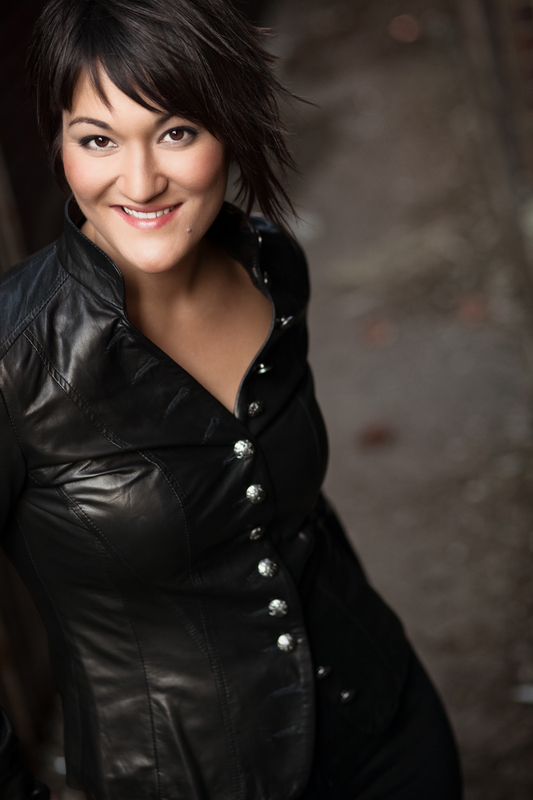 Most recently Teiya has sung with Edmonton Opera as Olympia The Tales of Hoffmann and Toronto indie opera company Against the Grain Theatre in her highly acclaimed portrayal of Cherubino from Figaro’s Wedding praised for “singing clear, pure and straight from the heart.” (Opera Going Toronto). In September she will join Toronto indie opera company Opera 5 singing both soprano leads in the double-bill of Offenbach’s Ba-ta-clan and Reynaldo Hahn’s L’île du rêve. Her voice has taken her from the palm trees of the French Mediterranean (Opéra Toulon Provence Méditerranée) marking her European concert debut, to the glorious mountains of Aspen, Colorado where she performed Tytania from A Midsummer Night’s Dream under the baton of renowned conductor Jane Glover. In New York Teiya has performed at the Brooklyn Academy of Music (BAM) in Robert Lepage’s The Nightingale & Other Short Fables and in concert with Maureen Zoltek and Aaron Patterson I Never Saw Another Butterfly (versions by Ellwood Derr and Lori Laitman). In Toronto she has performed with the Off Centre Music Salon, the National Ballet of Canada, and the Concert Opera Group. Teiya has also performed extensively with the Canadian Opera Company (COC) as both an Ensemble Studio Artist from 2007-2010 and most recently as a guest artist. Her list of appearances at the COC include Echo in Ariadne auf Naxos, Lucy in The Telephone, Serpina La serva padrona, Frasquita in Carmen, First Wood Sprite in Rusalka, the Balmont Fables The Nightingale & Other Short Fables (Stravinksy), Despina in Così fan tutte, and Maturina in Don Giovanni (Gazzaniga). At the COC she has also had the privilege to understudy the title roles of Lucia di Lammermoor and Maria Stuarda, Zerbinetta in Ariadne auf Naxos, Madame Mao Nixon in China, Rosina in Il barbiere di Siviglia, Susanna and Barbarina in Le nozze di Figaro, Thibault in Don Carlos, Marzelline in Fidelio, Tytania in A Midsummer Night’s Dream, Zerlina in Don Giovanni, Musetta in La bohème, Ilia in Idomeneo and the Nightingale in The Nightingale & Other Short Fables. As a COC Ensemble Studio Artist Teiya performed in many diverse concerts from Messiæn to Schubert. In May of 2008 she co-wrote and performed a ground-breaking work commissioned by the COC and Royal Conservatory of Music for hiphop DJs and operatic voices entitled Deconstruction Reconstruction with DJ lil’ jaz and T.R.A.C.K.S. She also worked with a number of other great artists, directors, conductors, teachers and coaches including Tim Albery, Jane Archibald, Neil Armfield, Andreas Baesler, Dmitri Bertman, Laura Claycomb, Jonathan Darlington, Johannes Debus, Tom Diamond, Matthew Epstein, Paulo Gavanelli, Martin Isepp, Robert Lepage, Stephen Lord, Adrianne Pieczonka, Rory Macdonald, Marlena Malas, Catherine Malfitano, Lotfi Mansouri, Richard Margison, Gerald Martin Moore, Mary Morrison, Wendy Nielsen, Tim Noble, Liz Rowe, Gidon Saks, Margaret Singer and Ensemble Studio Director Liz Upchurch. She has won awards from the Metropolitan Opera National Council Auditions, including two finalist finishes in the Northwest Region in 2007 (4th Place) and 2011. She also has won 4th Place at the XI Czech and Slovak International Singing Competition in Montréal, and won 1st Place in her class at the Canadian Music Competition in 2012. Other honours she has received include the First Runner-Up and the Encouragement Award from the Northwest Regional Finals of the Metropolitan Opera National Council Auditions (2007), the Johann Strauss Foundation Scholarship of UBC (2006), a partial career grant from the Vancouver Opera Guild (2009), and both scholarship and bursary from the Vancouver Women’s Musical Society (2007). As a Wesbrook Scholar and the President of the Music Undergraduate Society of UBC, Teiya graduated in 2007 with a Bachelor of Music and the Catherine Cooke Topping Memorial Medal, distinguishing her as the top academic graduate of her class. From 2003-2007 she was a member of the UBC Opera Ensemble where she studied with Canadian lyric coloratura soprano Nancy Hermiston, O.C., Head of Voice and Opera and University Marshal at the University of British Columbia. While developing her skills as a coquettish soubrette (Adele in Die Fledermaus, Susanna/Barbarina Le nozze di Figaro, Gianetta in The Gondoliers, Musetta in La bohème) and interpreter of light lyric heroines (Romilda in Xerxes, Rosina in Il barbiere di Siviglia), Teiya also had the pleasure of performing the title role of Naomi in the Vancouver Opera’s new production of Naomi’s Road by Ramona Luengen, based on the children’s book by Joy Kogawa. During these formative years she had the pleasure of working with James Craig, Richard Epp, Bruce Pullan, Rena Sharon, Neil Varon, and participate in masterclasses and workshops with world-renowned artists such as Elly Ameling, Isabel Bayrakdarian, Bernarda Fink, Judith Forst, Margo Garrett, Karina Gauvin, Ben Heppner, Rudolf Jansen, Siegfried Jerusalem and Edith Mathis both at UBC and abroad. Though born in Ottawa, Teiya was raised on the west coast of BC. Along with her many musical endeavours she is a competitive soccer player, avid cyclist and photographer. Teiya currently resides in Toronto, Canada. For more information please refer to her website, www.teiyakasahara.com.